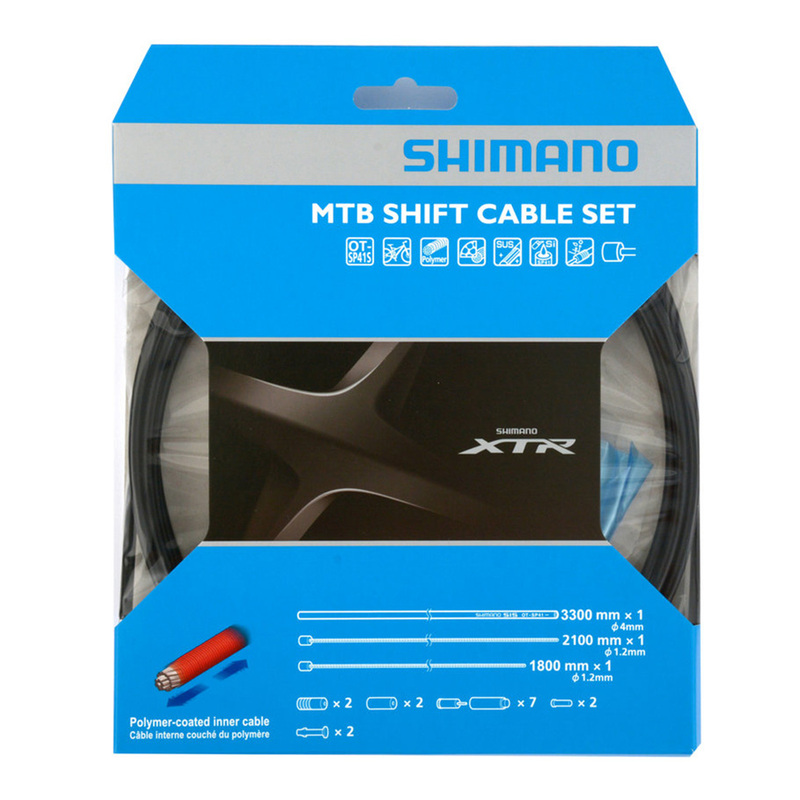 Complete MTB shift cable set for front derailleur and rear derailleur. Polymer-coatet cables improve long lasting shifting performance. The polymer-coated cable provides significant advantages against classical and PTFE-coated cables. Microscopic grooves of the polymer coating save fat much longer and reduce significant the friction between the cable and the outer casings. The main advantages are a much faster shifting performance and more braking power with much less effort at the lever. The set includes an outer casing with 3300 mm length, inner cables in 2100 mm and 1800 mm length and sealed caps.